Adrian Warner Media | Communications, media training, journalism, presenting. Communications, media training, journalism, presenting. Adrian’s influential role at the 2012 Olympics was celebrated in a special exhibition of photos at the National Portrait Gallery in London. 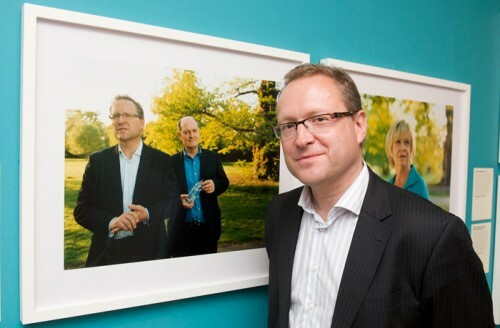 Adrian Warner is an award-winning, multi-lingual journalist with 30 years’ experience of writing and broadcasting for Reuters, the Evening Standard and the BBC who now provides training and media advice to doctors, business executives, sports personalities and students on writing, presenting and strategic communications. In January 2019 he joined the University of Northampton as a Senior Lecturer in Multimedia Journalism following three years at the University of Bedfordshire. He continues to combine this lecturing role with his work as a writer and copywriter, broadcaster and presenter, audio-visual content provider, media trainer and communications consultant for Adrian Warner Media. In 2017 he also qualified as a Fellow of the Higher Education Academy (FHEA) with a Post Graduate Certificate in Teaching in Higher Education (PGCTHE). His clients for media training and content creation in the last two years have included doctors and senior medical staff on National Health Service leadership programmes (for Eden & Partners), organisers of the 2017 World Athletics and Para athletics Championships and world indoor championships and 2019 European indoor championships (for Pearce International), Leisure Media Magazines and Digital and England’s Commonwealth Games squad (for Matchtight). Since Adrian Warner Media began in 2014 other clients have included organisers of the 2016 Rio Olympic and Paralympic Games, the 2015 Rugby World Cup, the International Olympic Committee and 2016 Youth Winter Olympics in Norway, Thomson Reuters news agency and the Thomson Reuters Foundation, Canadian Press, the University of East London and Around the Rings (US) website. A fluent French and German speaker, Adrian spent a decade as a foreign correspondent based in mainland Europe and has reported from 14 Olympics and 5 World Cup finals, starting in 1988. 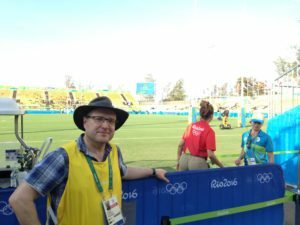 He has an international reputation as an Olympics expert with wide-ranging contacts and, from 2007 to 2014, worked as the on-screen Olympics Correspondent at BBC London TV, covering all aspects of the 2012 Games. You can view his showreel here. Adrian reported on all the matches at the rugby sevens as well as the whole athletics programme at the 2016 Rio Olympic Games. Adrian has also covered global news stories in addition to sport, including the fall of the Berlin Wall, the Manchester city centre bomb blast, international political summits, financial markets, and arts and musical events. He has reported from more than 25 countries for both text and TV. He has published two books, including co-writing the story of London’s successful bid for the 2012 Olympics. In addition to his academic work, Adrian acts as a presenter or host for conferences, corporate videos, award ceremonies and corporate and charity functions. At Adrian Warner Media, he provides both written and audio-visual content and communications advice for major sports events and organisations as well as training students, business executives and doctors in writing, presentation and journalism. When he is not working, Adrian sings in one of Britain’s top choirs, the Crouch End Festival Chorus, and has performed live and recorded with an eclectic range of musicians from Noel Gallagher and Ray Davies to Andrea Bocelli and Hans Zimmer. He also regularly referees youth and women’s rugby and cycles for charity. More details about Adrian’s services and experience, including comments from clients, are available on this website. Please click on the links in the text above or on the menu bar. Please contact Adrian at adrianpwarner@gmail.com. 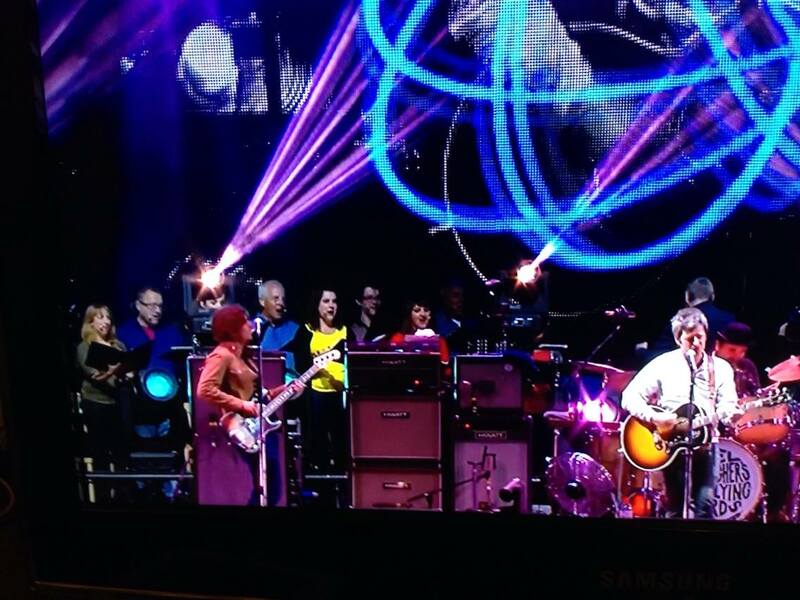 Adrian performing live with Crouch End Festival Chorus as backing singers for Noel Gallagher’s High Flying Birds in 2016.